Chole Bhature is a popular Punjabi dish famous all over India. The spicy Chana Masala and fried Bhatoora is a sight that would tempt all palates. For those who love Delhi style vegetarian food, this is a great meal to indulge your taste buds. I first tasted Chole Bhature from “Bimbis”, the fast food restaurant in Ernakulam, which serves North Indian food. That was a favorite place to hangout with my cousins and friends during my college years and my love for the big fluffy Bhatoora started there. When, my Mom started making Bhatoora at home; we were quite happy. But the chole making was a big process, as far as I remember; it was a tedious process and I was always looking for simpler recipes without compromising on taste. After several trials, I finalized on this simple and tasty recipe for chole. In this recipe, I have used a good brand of Chole masala, that is available in market, together with some other spices and seasoning to enhance the flavors. Bhature and Chole with chopped onion, onion rings, sauteed chilies and lemon wedges is a great meal that is neither too heavy nor light. Chole is high in nutritive value and a great healthy option for your diet. It provides you with fiber so it balances the consequences of Maida filled bhatoora. 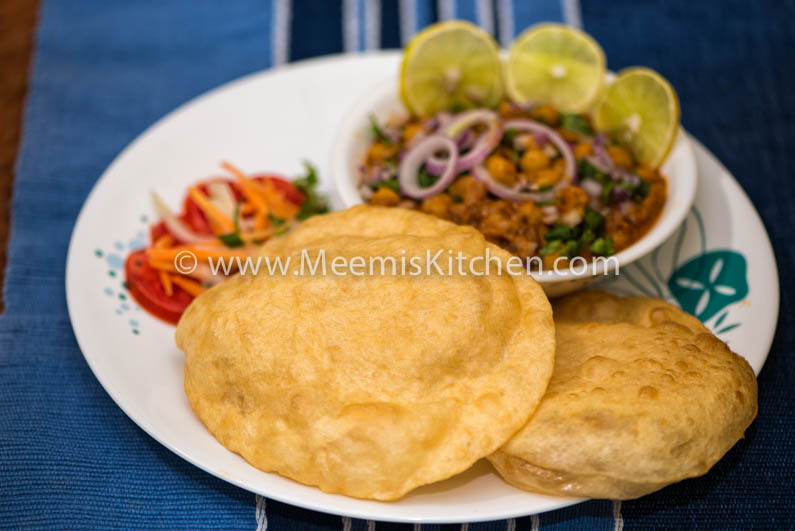 So without any guilt, try this mouthwatering, simple and easy recipe for Chole Bhature!! Like Pav Bhaji, Poori Masala or other chats, this is also irresistible!! Bay leaf (optional) : 1 no. Onion (for garnishing) : 1 no. Wash and soak the chick peas in water over night. Pressure cook the chana with just enough water and bay leaf. Chop Onions finely. Heat oil in a pan and Sauté the onions till the raw smell disperses. Next, add ginger garlic paste and sauté. Put all the spices and fry for some time. 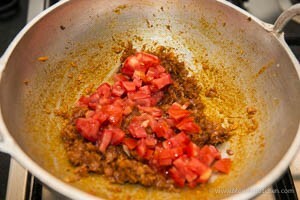 Add chopped tomatoes and fry till they are mashed. Mix in the cooked chana and add salt. Let it simmer for some time till the gravy is thick. Transfer to serving plate and decorate with chopped coriander leaves and chopped onion/ onion rings. Squeeze little lime just before serving. Sieve Maida, Salt and Baking Soda together for two to three times. Mix together curd, oil and sugar. 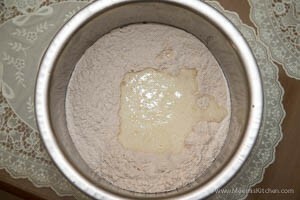 Make a well in flour and add the curd mix. Pour enough milk + water to mix and work into a smooth dough. Keep the dough covered for three hours for rising. 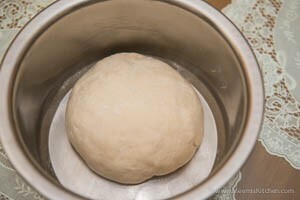 Once the dough is almost double in size, make small balls and flatten with rolling pins/ poori press or hot press (Roti maker). Heat oil and deep fry each bhatooras splashing oil from sides and gently pressing on top with the slotted spoon to puff the Bhatoora. Drain the golden Bhatoora and serve hot with spicy chole masala. Enjoy!! You can add chunks of butter while serving chole. The spice level medium spicy, if you want it spicier please increase the Chili powder. 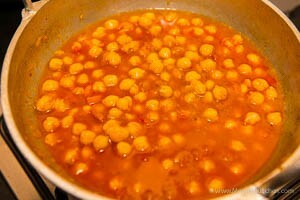 While cooking chana in pressure cooker, do not add salt as it hardens the chana. 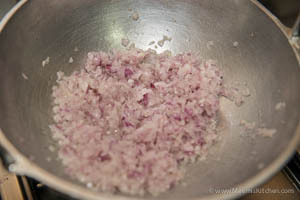 Add salt while preparing the masala. Chole Masala is available in all super markets. Lime, chopped onions and coriander leaves should be mixed just before serving, to retain the freshness. The dough for Bhature should be soft. While flattening the dough balls, make sure it has equal thickness all over. 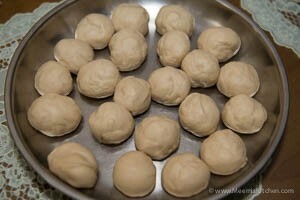 If you have a Roti maker (hot press), use it to flatten the dough balls. While frying, gently slide into hot oil and let the Bhature immerse in oil. Press with the spatula to puff it up and then turn on the other side. Please try and let me know if you like it or share with your friends using the share buttons on the side. It will definitely motivate me. God Bless! !